This is a completely new, revised, expanded and updated edition. The ebook contains most of the original material but virtually everything has been re-written and benefits from the skill of an expert editor. There is a host of additional material written by Lewis Ganson and previously published in the Routined Manipulation series published by Harry Stanley. Along with Graham Jolley, Martin Breese has always been a follower of Al Koran and his amazing material. 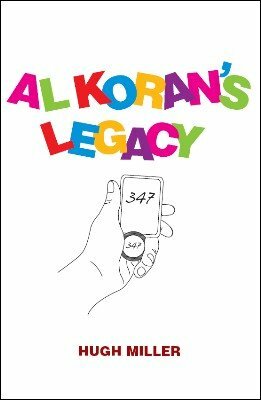 Al Koran’s name appeared on almost every page of the Gen. And thanks to Harry Stanley his material has been preserved for future generations to study and use. Graham Jolley unraveled a very complex effect in this ebook. In previous editions of Al Koran’s Legacy the instructions for Headline Prediction were hard to follow but Graham persevered in working out the correct method for the effect. And that is probably why, up to now, he is one of the few to perform this baffling routine. Graham usually closes his act with this effect as it is so powerful. He has written it up for us showing exactly how it should be performed. Lewis Ganson’s Routined Manipulation series on Al Koran has also been included as a very special added bonus and this includes Al’s Koran’s Miracle Blindfold Card Act. It is one of the finest routines in this ebook. If you are not familiar with Al Koran you have a great journey ahead of you. He was an original thinker with a great creative mind and a consummate performer. 1st edition 2009; 232 pages.